We all know that no blog can survive without SEO. Mostly bloggers use WordPress, as it is not setup to get you automatically better rank of your pages. You need to go to each page from title to meta key to keywords and each part of SEO takes lot of time to complete. But Do you know we can do most of them by just few steps only? Yes!! it’s not magic but power of SEO most famous plugin Yoast SEO. If you are not aware how to use this plugin then here I am providing you step by step of how to configure this plugin. 1. Firstly Go to WordPress Dashboard, on left side you will find the menu- plugins, hover over it & tap on Add new. 2. 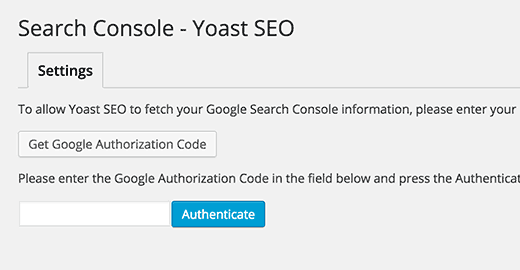 Put Yoast in search box and press enter. 3. Click on install now link, a pop up appears for confirmation, click ok on it. 4. Downloading and installing will take a little time, once it is done then activate it .click on activate plugin to do that. 5. 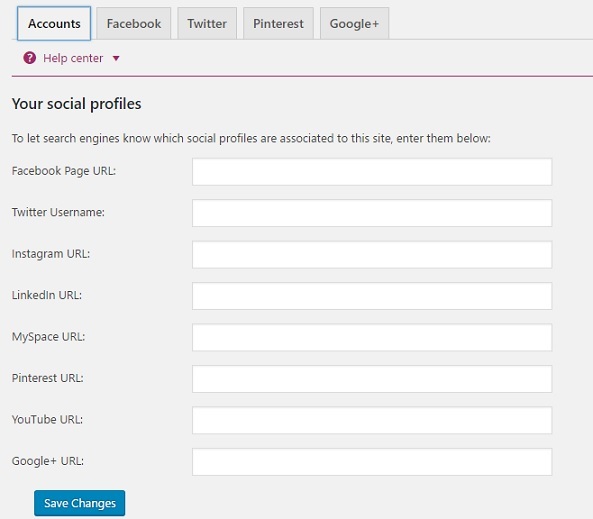 After activating the plugin, a new menu named as SEO will appear on the dashboard. Click on Dashboard sub menu setting. 6. Dashboard > Dashboard & General : It is just for information so not need to go for that tab. 8. Dashboard > Webmaster Tools : Webmaster tools is one of the important part of this tool, here you need to verify your site for Bing, Google and yahoo webmaster tool means you are submitting your site to all these search engine. You need to click on each link to submit site. This is one of the important tab for yoast SEO plugin setting so here I am providing you screen shot of most of setting just go one by one. There is no need to check in the’ force rewrite title’ it can be left blank and select proper title separator as below. 10. Go to dashboard>SEO> titles & Metas> home: Enter suitable title and meta description. It is the most important step as it tells google about the page. It is like a small introduction session between the website and the search engine. Now you need to click editing the front page itself » and make changes. Title should be of 6-9 words and maximum 70 characters. Meta description has a limit of 156 characters, one has to be crisp and informative to grab attention of the readers. Here you can configure SEO for all post type like page, post, media and ads . Please make sure you check help center link to learn about suitable template and understand more. More information please see image below. Recommend to add meta description manually otherwise will automatically add description for your posts and pages. 13. 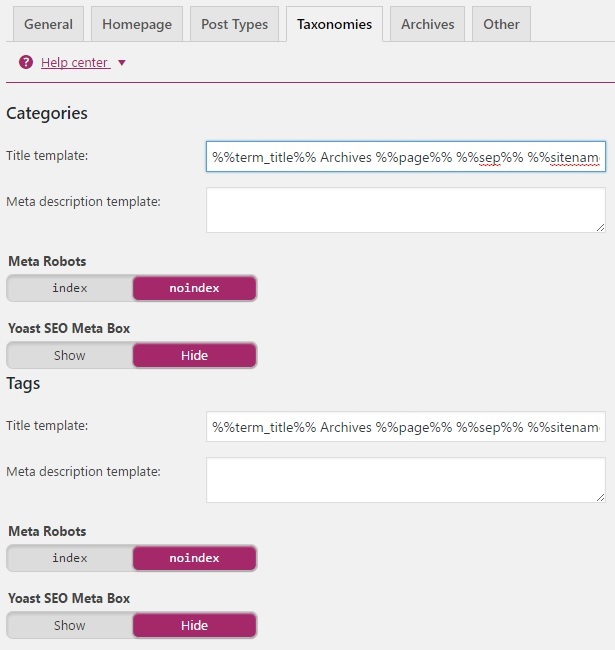 Dashboard>SEO> titles & Metas> Texonomy : In taxonomies check the box names as ‘no index, follow & hide’ As we don’t want to index categories, tags & format. so we keep title template as it is. 14. 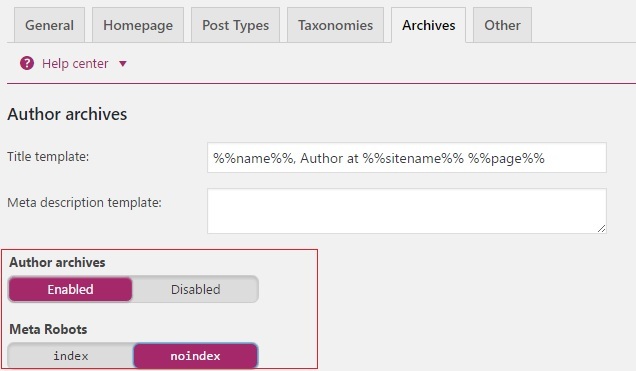 Dashboard>SEO> titles & Metas> Archives: We recommend for single user disable author archives so it save from duplicate and if you have many author then you can check “Noindex” and “follow” boxes as below. Here you can do other settings like date archive and 404 error page. Recommend: It is a good idea to disable both of them as using author and data archive will lead to duplicate content. 16. 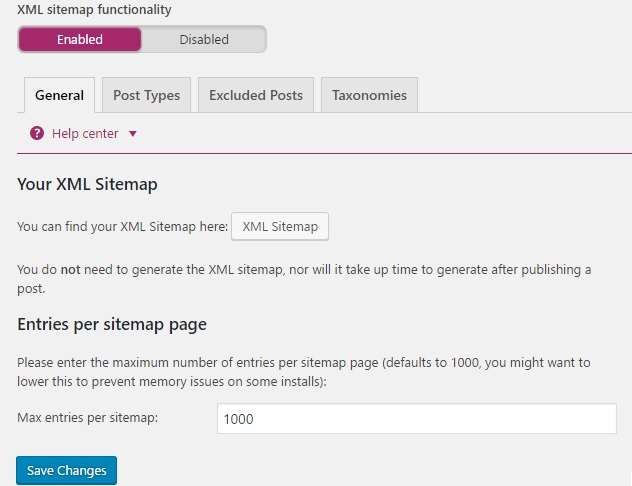 Dashboard>SEO>XML Sitemaps: it will enable the automatic XML sitemaps. This is also one of the important step to submit your website to google, Bing & yahoo search engine so it help you to get indexing quickest. 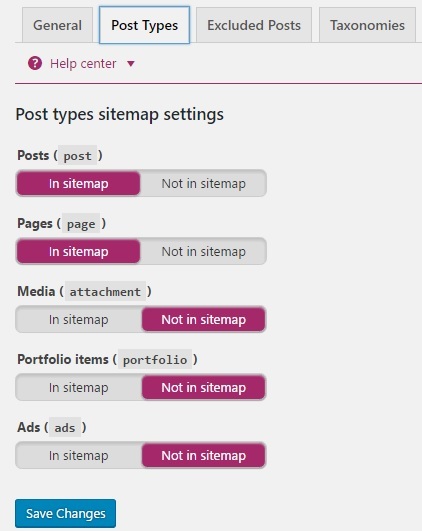 You can also check how to create wordpress site map using Yoast SEO plugin and how to submit sitemap to Google. By post type tab you can set what all thing you want to add in xml sitemap. You can exclude post from sitemap by just mention here post ID. 17. 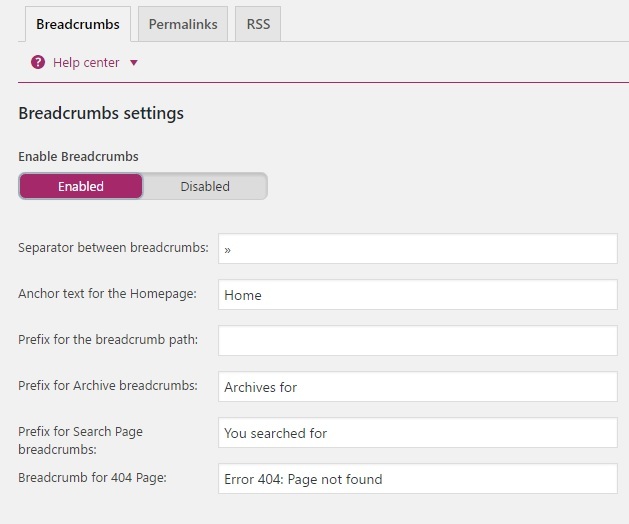 Dashboard>SEO>Advanced: Breadcrumbs help your user & search engine to understand your site structure and navigate easily. so enable breadcrumbs like below. 18. 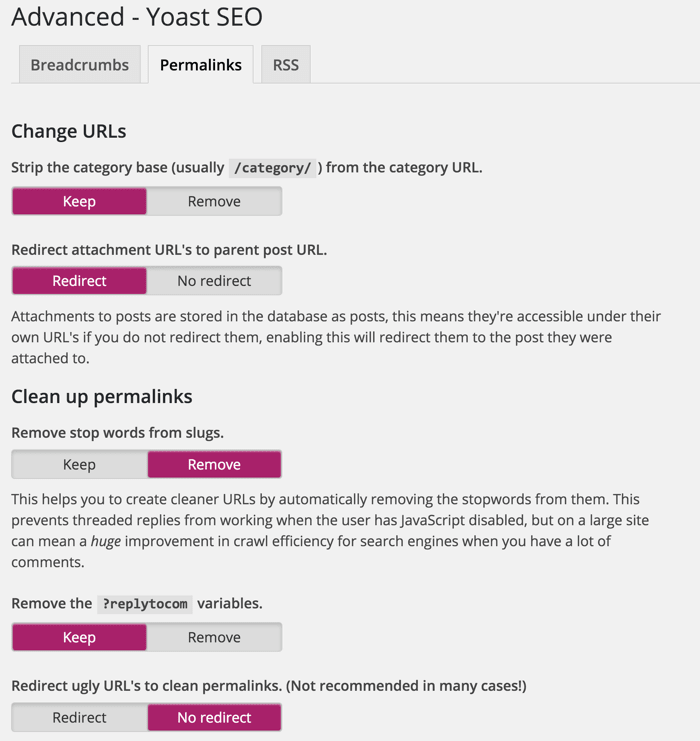 Finally Dashboard > SEO >Advance> Permalinks. Choose the following options. 19. Dashboard>SEO>Advanced>RSS: This will help you to get back linking when some one copy your content so it help you in ranking your article. 20. 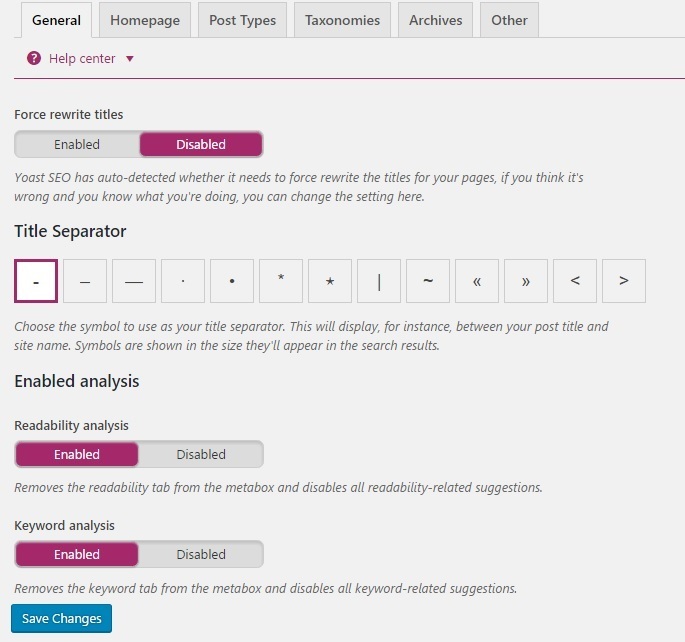 Dashboard>SEO>Tools: Here you find great tools like bulk edit by which you can edit titles and descriptions of your posts and pages without having to go into the editor for each page. 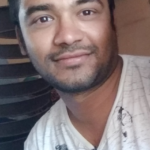 file editor help you to edit the WordPress .htaccess and robots.txt file. Import and Export help you to save your settings which we have done yet. so it is very helpful for you to use this tool. 22. 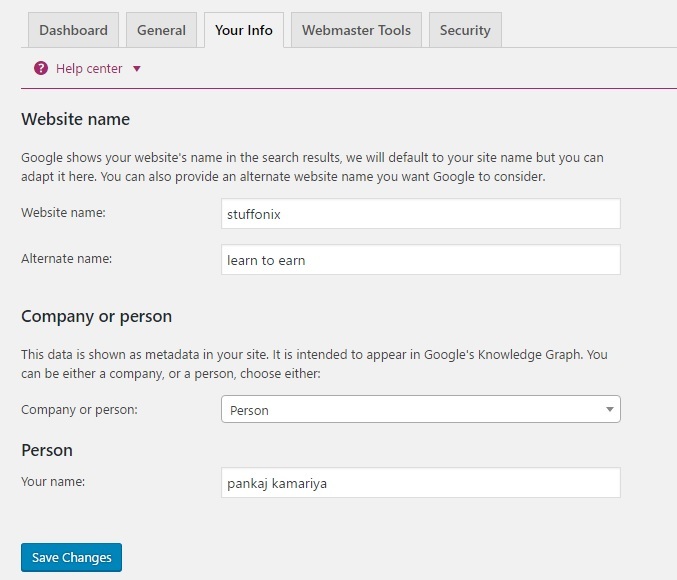 Dashboard>SEO>search console: Help you to connect your WordPress site to Google Search Console tools (webmaster tools). In order to do this click on get Google Authorization Code then it redirect you to other page where you will get code then put it in below text box and then authenticate. More option you will get in advance yoast version…if you want to go for advance version then check yoast seo plugin site. Though the step seems longer and tedious to do, it is actually a very good place. Everything is self explanatory. Hope you like this post and now aware How to use yoast SEO plugin to make SEO work simple for your site. still we forget something? Mention in comment so we will add in post.